The Dexter S116F-6MO Sani-Safe® boning knife has a flexible, curved blade that works well for deboning fish. Since the 6-inch blade is constructed of DEXSTEEL™, a high carbon steel, it is heavy duty for constant use. The blade’s edge has been individually ground and honed to ensure the knife's quality. Since the blade resists staining, it is easy to maintain a clean appearance. Polypropylene is used to construct the 5-inch handle, making it easy to clean. To provide a secure grip, the handle is textured for slip resistance. 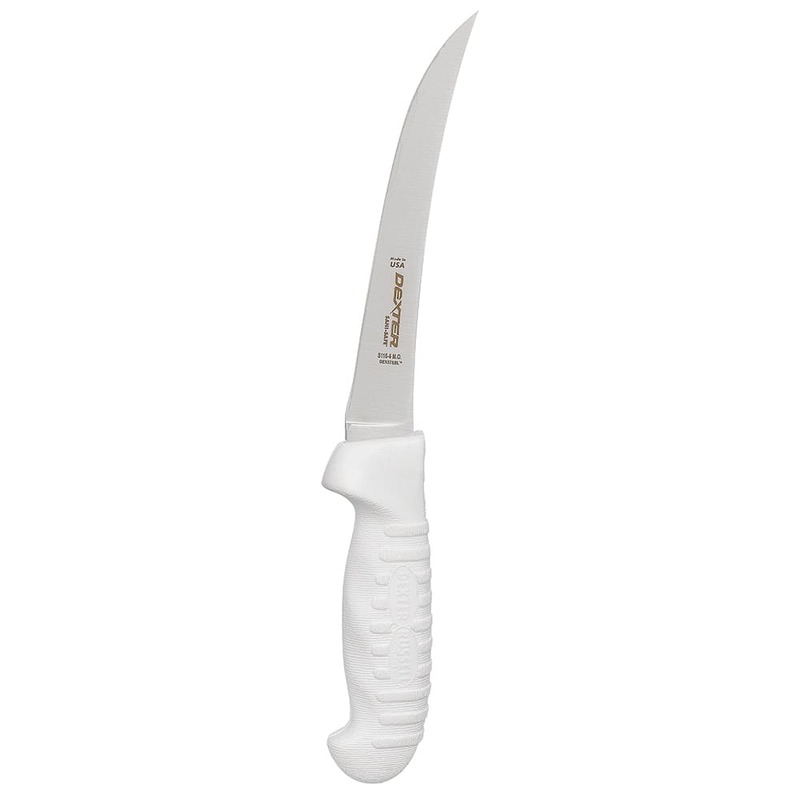 The Dexter S116F-6MO Sani-Safe boning knife’s handle withstands high and low temperatures.